Last night I met an angel...from a little town just south of Chicago. No, she didn't have wings...that I could see, but I think it's just because she is the earthly-variety. However, I know the signs when I see them. An angel's hallmark is to drop in on your life when you least expect it, but need it most...when your night time worries begin to creep into your day time living...when you need a physical reminder...a nudge that you are not alone...that there are others who know your heart and want to help. Her name is Amy Miles...like me, she is a mother to a son on the autism spectrum. Amy is also an author whose self-published teen paranormal romance novels have quickly become best-selling books across the planet. She recently made a pledge to earmark .50 cents from every sale of her book, Reckoning, the sequel to Forbidden, with a goal to raise $2,500 to purchase 5 iPADS to give away to children with autism. She and her husband, Rick, partnered with Action for Autism St. Louis and I'm happy to say that our family was selected to receive an iPAD. Their timing couldn't have been more perfect...maybe because it was a divine intervention. It is my hope that their gift will help reduce Noah's struggles with schoolwork or at least boost his confidence. He's a smart kid, but learning difficulties often deflate his self esteem. Thank you Amy, Rick and Landon for dropping into our life at just the right time. And, a special thank you to all of Amy's fans who helped to make this possible. 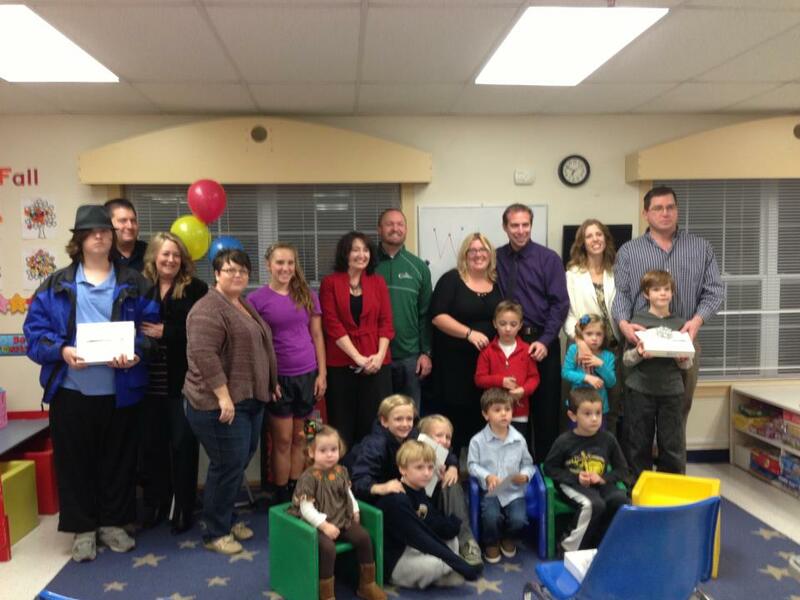 Amy and her family traveled more than a 100 miles to hand deliver the iPADS to us. It takes one to know one :-). Andrea, I feel we are a few years behind you on the same path with Nate. Sharing your family's struggles and triumphs is a real comfort to us. Thank you for being our earthly angel. I can't wait to hear what apps are helping Noah. Wow, what a wonderful post. So lovely to read, really touched me, brought a little tear to my eye what you wrote. I'm so please for you you got to meet an earthly angel. I hope the ipad really helps with your son's learning and confidence. A really touching post. Thanks for stopping in, Kate. I'm hopeful that it will unlock some doors for him. Have a nice day!